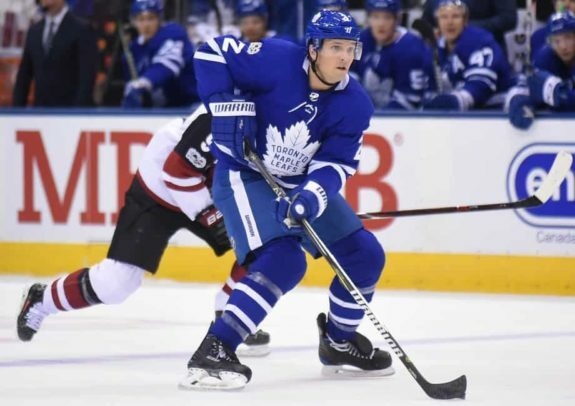 The Toronto Maple Leafs began their 2018-19 season with a thrilling 3-2 overtime victory over the Montréal Canadians on Wednesday night, providing a happy ending for John Tavares’ first regular season game in Toronto and for general manager Kyle Dubas. The team statistics, however, are surprising. The Habs outshot the Leafs 36-25 and stifled the team’s elite offensive attack for the majority of the game. They also had numerous shots from high-danger areas to challenge goaltender Frederick Andersen all night long. If this is how the Maple Leafs are going to play for the rest of the year, they will lose more than they win. There were good moments, every game has them, but the Leafs must be better going forward. Andersen was the man of the night, hands down. Stopping 34 of 36 shots, he looked to be in mid-season form and provided a great stop-gap while the Leafs found ways to put pucks past Canadiens goaltender Carey Price. If he plays like this for most of the year, he could be a Vezina candidate and maybe steal a couple of games along the way. Another plus was the Leafs’ offense, which was as good as advertised when they got their opportunities. Auston Matthews scored two goals, including the overtime winner, which continues his trend of dominating the first game of the season; he now has nine points in three season openers. Tavares had a perfect moment in his first game in Toronto, breaking Canadiens forward, Matthew Peca’s ankles en route to wristing a bullet past Price that put the Leafs up by one. The Leafs also had a strong statistical game, winning 58.7% of the draws on the night and blocking 24 shots, which prevented the Habs from putting more pressure on Andersen. The penalty kill also looked good, going three for four and taking away momentum from the Habs by converting on those opportunities. Ron Hainsey had one of his worst games as a Maple Leaf. He got burned on the Habs’ first goal, with goal-scorer Arturri Lehkonen breezing by him and wrapping-around the net to put the puck past Andersen. Hainsey also took an interference penalty in the third period while the game was tied at two and finished the night with a -12.4% relative Corsi, second lowest on the team. Hainsey is 37 and, as experienced as he is, has problems controlling the puck on the ice which is amplified as a member of the top pairing with Morgan Rielly. He also seems to have trouble getting the puck out of the defensive zone and constantly passed it to Rielly to complete the outlet pass or to clear it without icing it. Babcock needs to make sure he doesn’t overcook him during the season, or the Leafs could lose a right-handed defenseman before they reach the playoffs. Team discipline needs some work; the Leafs took four penalties during the game, including a too many men call. They have a surplus of talent that shouldn’t be taking four penalties a night, especially when they are preventable infractions. If this continues, the penalty kill will crumble against teams like the Washington Capitals or Tampa Bay Lightning. Defensively, the entire team was ineffective, with physicality and puck awareness taking a back seat. The Leafs dished out 18 hits compared to the Habs’ 34, which played a role in the Leafs turning over the puck 21 times. The Habs also used their bodies to create chances in the crease, getting off ten shots in close and one of those ended up in the back of the net. The Leafs have big bodies on their roster and they need to use them to keep these chances from happening too often. 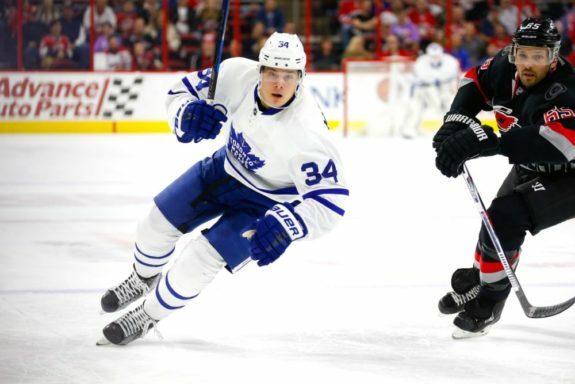 On opening night, many aspects of play can be overlooked especially when you pick up the win, but the Maple Leafs should look at their mistakes and correct them going forward. The season is long and they should take their wins whenever they can get them, but in a division with the Lightning and Boston Bruins, the Leafs are going to need to be better as the season progresses.